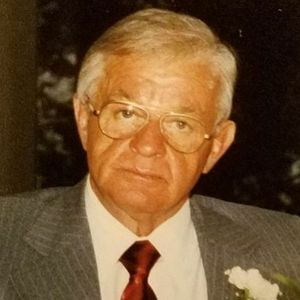 Lynnfield – Mr. Robert A. Driscoll, of Lynnfield, formerly of Waltham and Peabody, died Tuesday, November 6, 2018 at Lahey Clinic in Burlington. He was 91. Robert was born in Waltham on September 1, 1927, a son of the late Joseph and Alice (Gilhuly) Driscoll. Raised in Waltham, he joined the United States Army after high school and played post-war baseball for the J.L. Thompson where he worked as a machinist. He was a life-long Waltham resident until his later years, living the last 5 years in Lynnfield, and Peabody before that. He was a member other Waltham Hibernians in his early years and a big Notre Dame Fighting Irish Football fan. Most recently Robert worked in the maintenance department at Bentley College. He leaves his sister Edna A. "Jackie" Dunn, of Waltham; his nieces and nephews Edward "Ted" Duprez of Shrewsbury, Paul Duprez of Salem, New Hampshire, Cheryl Monahan of Waltham, Robert Duprez of Salem (Mass. ), Ellen Bouvier of Fitchburg; his step-children, Kathleen Swaine, David Lewis, George Lewis and William Lewis; sixteen great-nephews and nieces and twenty-three great-grand-nephews and nieces. He was the husband of the late Ann (Kelley) Driscoll and Mabel (Aucoin) Driscoll and brother of the late Helen and Dorothy Duprez, and Frank, Paul, Leonard and Joseph Driscoll and uncle of the late Marilyn Duprez and Leon "Bill" Duprez. Family and friends will honor and remember Robert's life by gathering for his Funeral Mass at 11 a.m. on Tuesday, November 27th in Our Lady Comforter of the Afflicted Church, 880 Trapelo Road, Waltham. Burial will be private. Memorial donations may be made to The May Institute, Murdock Drive, Peabody, MA 01960. Life Stories provides friends and families a forum to post their favorite stories and memories of Robert A. Driscoll ensuring the precious experiences are never forgotten. Share joyful times, post a photo that captures the moments you cherish, and allow others to reply, relive and remember.